The Wandering Divas of Dunedin have put together a wonderful cookbook with 100% of the proceeds going to MTRA. 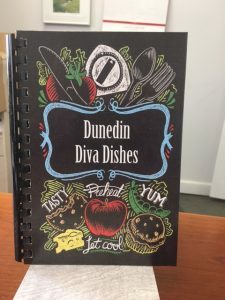 The Dunedin Diva Dishes Committee was formed by Judy Groff and Collette Sherwin, with Amy Miller’s tech skills The committee organized the cookbook with many delicious family recipes and all-time favorites. Committee members are Kathy Albion, Barb Boggs, Penny Cannon, Janet Dobson, Judy Groff, Amy Miller, Collette Sherwin and Vicki Steinberg. These cookbooks are $12.00 and will make excellent Christmas gifts! To order your copy of Dunedin Diva Dishes email Leslie Gettys at execdirector@mtraocala.org or call the office at 352-732-7300.